A couple weekends ago, we threw a baby shower for one of my dearest friends. I love this girl more than I can say– she has been one of the most supportive, generous, consistent parts of my life for the last three and a half years (I see her at least twice a week for different church small groups, which is a ton for me!). We met them right when Adam started dental school, and right before we found out Adam’s dad’s cancer was terminal, and before she was pregnant with their first baby… so we’ve done a lot of life together. 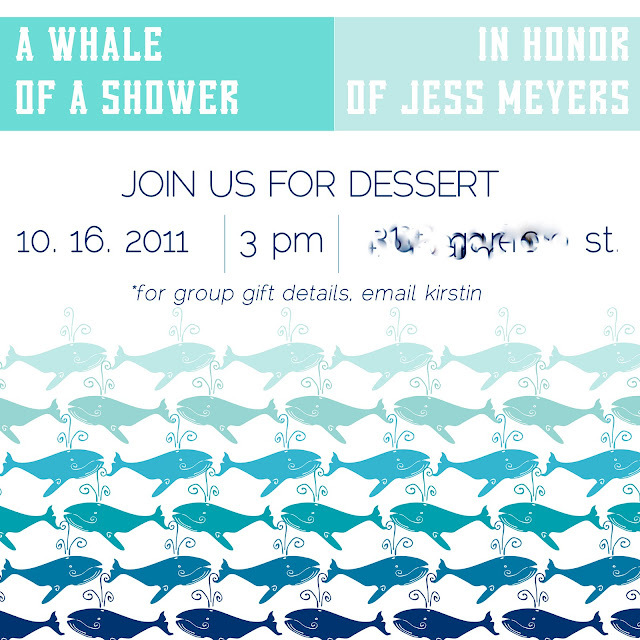 Even more fun, Jess totally shares my affection for a well put together event (and for presents! She’s one of my only friends that shares my “Gifts” love language), so I really wanted to do it up right for her baby shower. 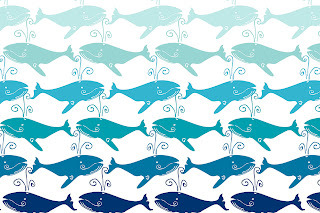 Whales- to match Baby Ben’s nursery! 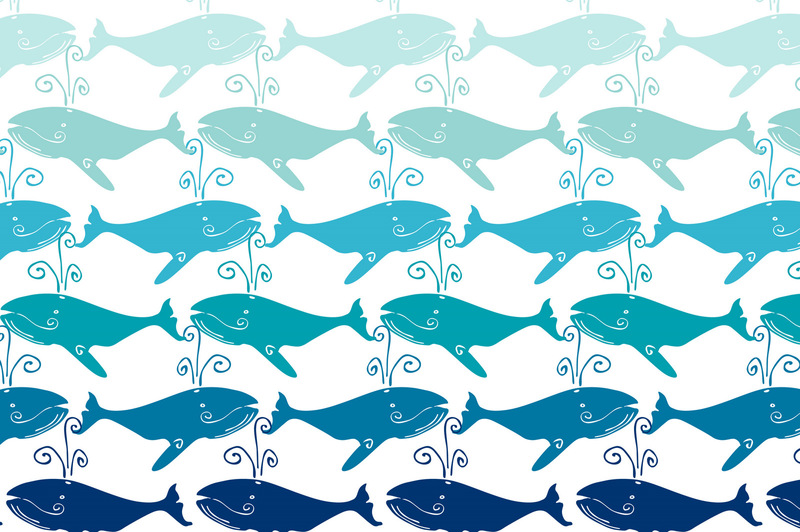 Ombre rows of spouting whales- nautical and classic all at once. 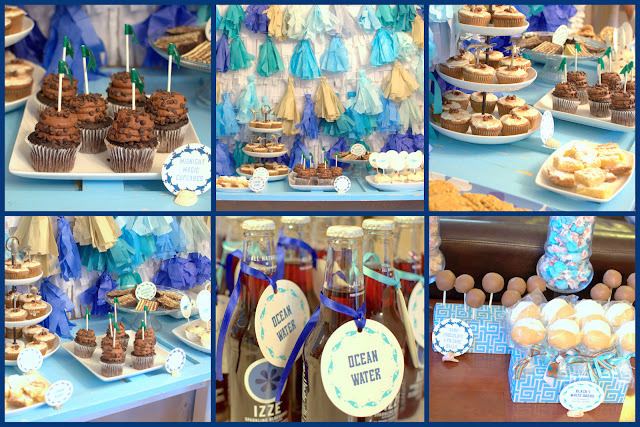 The place was awash in a whole spectrum of blues, plus white and tan, for a beach-y feel. There were blue garlands, white garlands, a driftwood garland(!!! 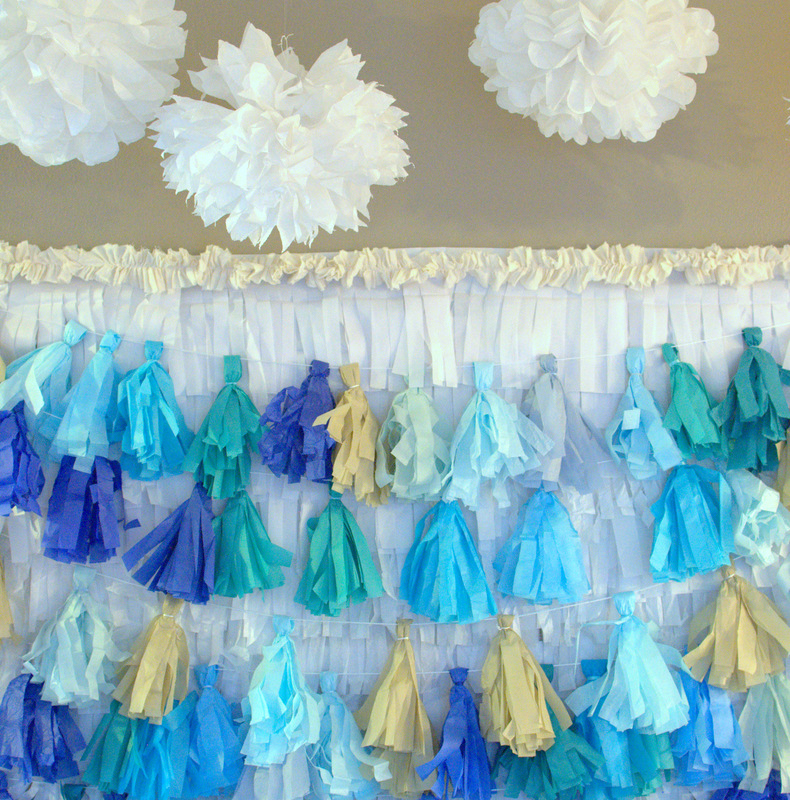 ), light blue hydrangas, white pom poms, navy and white stripes, and lots (and LOTS) of tassels. The signage was, of course, heavy on the whale motif, as well as that great nautical-ish font (called Vanilla Whale, I think I got it at fontspace). 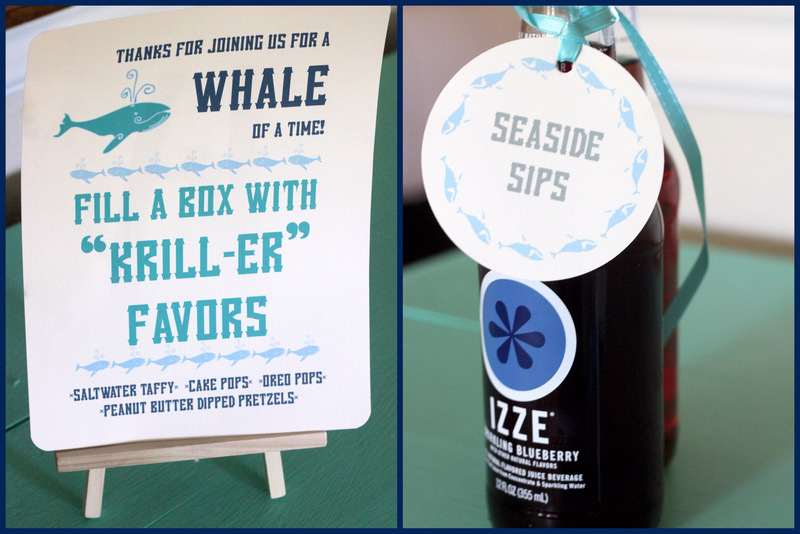 Oh, and the “Seaside Sips” and “Ocean Water” labels on tied onto the Izzes were big hits as well. Fun, right? My favorite little signage touch? 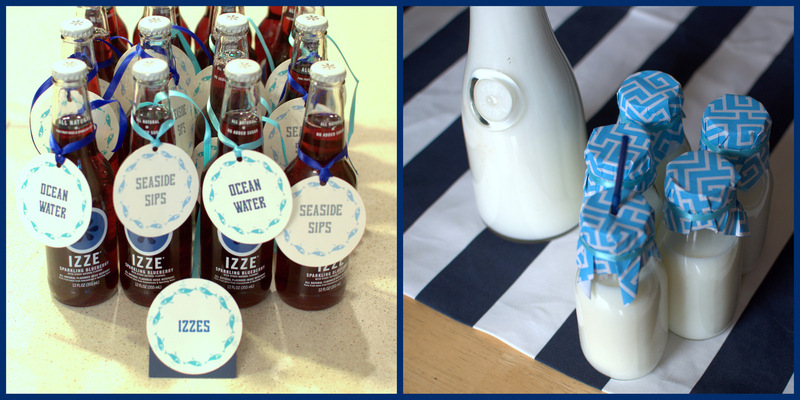 The seashell ‘stands’ on the front of each of the food signs (they’re just hot glued in place). And guess who glued those babies together? My sweet husband. What a guy. Admittedly, the star of the show was the dessert table backdrop- layers of white fringe, topped with rows of navy blue, royal blue, aqua, teal, sky blue and tan tassels. 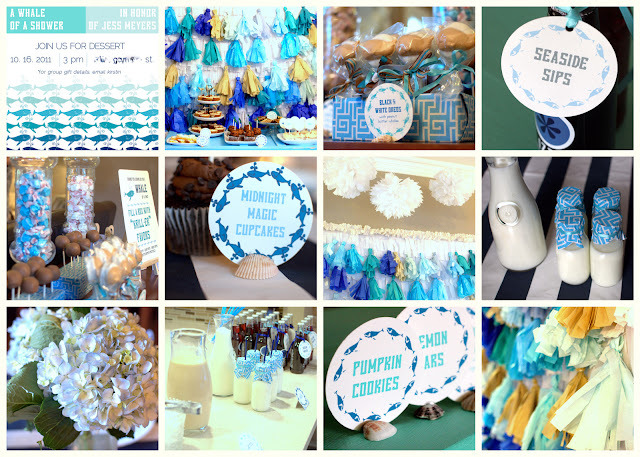 There were also three different cupcake toppers- whale polka dots, fruit roll up flags (thanks Tiff and Jenny for the idea! ), and gilded sea creatures (gosh I wish I’d gotten a better picture of those!). Oooh, and we even got to use the blue door table (given a facelift after some heavy handling from Burke and his friends- haha!). 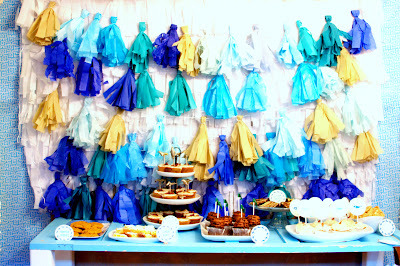 Another thing Jess and I have in common is our passion for desserts and sweets, so an all dessert shower was an order (though, we had flatbread with pesto, homemade salsa and chips, and pitas and hummus on hand for those, like my co-hostess Renee, who’d opt for savory over sweet). Jess’s favorites are cupcakes, anything chocolate, desserts with lemon and desserts with pumpkin- so the dessert buffet featured those items entirely. The drinks included lattes, milk and blue izzes (labeled “Ocean Water” and “Seaside Sips”). The “Kriller” Favors (my little bro is the genius behind that catchphrase, but I’m pretty sure he’d be mortified if he knew I credited him for it on here- haha!) 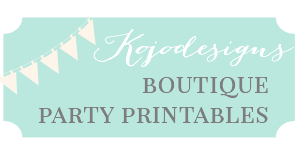 were a bit of a choose your own adventure. 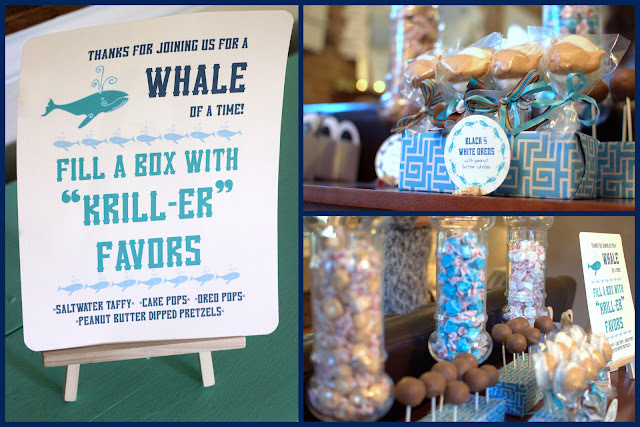 Guests filled little white boxes with Saltwater Taffy, cake pops, oreo pops and peanut butter dipped pretzels. Very beachy. And very delicious. And, of course, very favor-y. 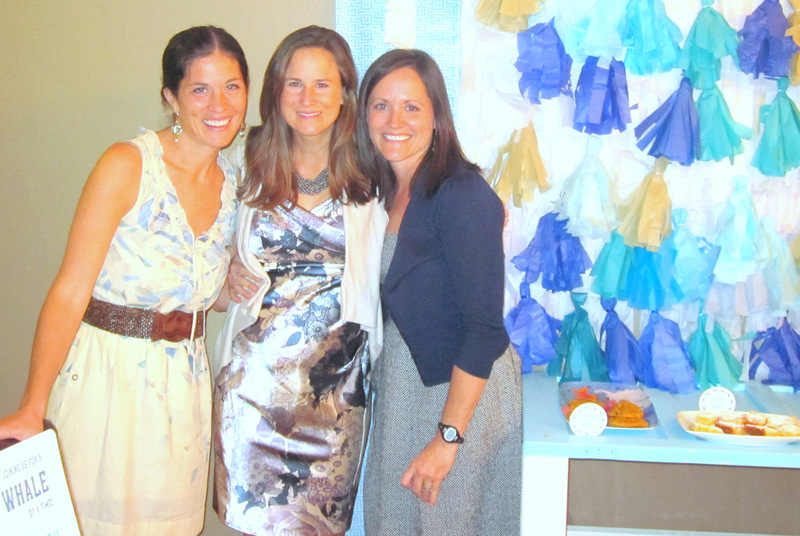 And I can’t sign off before sharing this pic of the mama-to-be (sandwiched between me and Renee). Isn’t Jess just about the cutest pregnant girl you’ve ever seen? 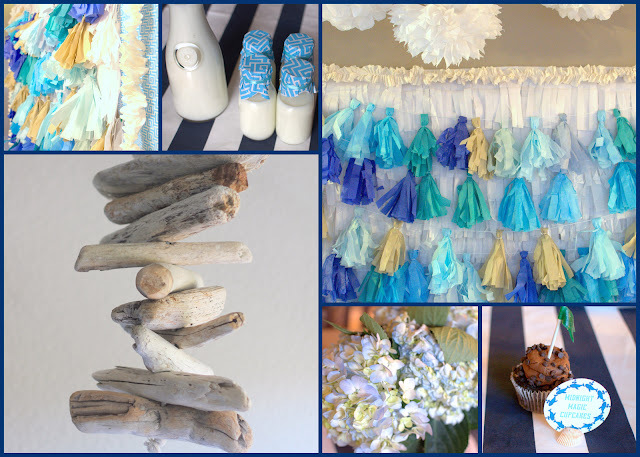 We can’t wait to meet you, Baby Ben!